Amongst all the loving romances and fairytale endings, musicals can sometimes (believe it or not) be true to life. The trials and tribulations of singledom, finding a dream partner, messy break-ups and more have all been cemented in both light-hearted and heart-breaking musical form. It's this theme that Kate Brennan explored in her one-woman cabaret Song Of The Single Girl. It turns out there's more than just the one song lamenting singledom, with a varied programme of both show tunes and pop songs "where Bridget Jones meets Judy Garland". Brennan posed as something of a Bridget Jones herself, with amusing and personal quips informing the choice of songs - from bad dates to embarrassing family members. There are some limitations with this theme, the songs predominantly from modern musicals and falling into either the comedy or ballad category. There was still room for variety though, with numbers from both established classics (Sondheim's 'Follies'), modern masters (Jason Robert Brown's 'Songs for a New World') and cutting edge lesser-known works (Pasek and Paul's 'Edges') amongst others. Many of the songs were commendably arranged by accompanist Joe Atkins. There was even room for invention with a creative performance of the pop classic I Will Survive that hilariously morphed from diva through to gangster. Moreover, Brennan deftly switched from style to style. Clearly a confident character actress, the comedy numbers caused frequent eruptions of volcanic laughter from the audience, stemming from some charismatic vocals and expressive facial mannerisms. Accents never posed a problem, from the southern drawl of Always A Bridesmaid ('I Love You, You're Perfect Now Change' - Joe Diepetro and Jimmy Roberts) to the thick Welsh sing-song chiming of A Simple Valley Song ('Jet Set Go' - Brunger and Cleary). In Short ('Edges') was a rousing success, encapsulating what every girl feels after a break-up. And you can always count on Sondheim for some clever wordplay, Brennan effortlessly singing through tongue-twister The Boy From... ('The Mad Show'). You can also count on Sondheim for some honest emotion, which Brennan surely delivered with Losing My Mind ('Follies'), in addition to The Man That Got Away ('A Star Is Born' - Harold Arlen/Ira Gershwin). A beautiful rendition of I Can't Make You Love Me (a pop song originally made famous by Bonnie Raitt and, more recently, Adele and Bon Iver) really tugged at the heart-strings with a nuanced vocal. Brennan surely has a powerful set of lungs, able to belt out a tune with gusto. Equally, the softer moments were infused with emotion. With little vibrato, the bigger notes sometimes lacked a little extra touch of colour. Yet with such stage presence, Brennan proved a consummate performer, even if at times she was in danger of upstaging her guest singers Shaun McCourt and Sejal Keshwala. McCourt's rendition of If I Could Find A Boy ('Jet Set Go') certainly showed that the girls aren't the only ones who suffer. Song Of The Single Girl provided an hilariously entertaining evening, filled with exuberant singing and enthusiasm for musical theatre. Viva girl power! The American composer Eric Whitacre has become something of a phenomenon over the last few years, as boasted in the programme and in Louise Fryer's introduction. With his expressive conducting, hip wiggling and floppy blonde locks, I suspect much of the audience weren't just there for the music. Yet musically, this was an evening that comprised a surprising amount of invention, sung by a choral combination of the BBC Singers and the Eric Whitacre Singers. At the centre of the concert was Whitacre's Higher, Faster, Stronger commissioned by the BBC for the Olympics. This piece calls for the choir to be split in three and arranged as on a medal stand, each labelled 'higher', 'faster' and 'stronger' (the Olympic motto). After a serene middle section, the piece culminates in a race to the finish between the three choirs singing various nonsense syllables, accompanied by piano and percussion to hold the music together. Though certainly virtuosic, this was predominantly a piece of interesting experimentation. This was followed by another new work, The Listening Chair written by popstar Imogen Heap, allowing for considerable pop-classical crossover. Inspired by an actual chair in which people were asked "what is the song that still needs to be written?" and their responses were recorded, Heap composed a piece divided into five one minute sections that each represent seven years of her life. The contrasting sections clearly develop from childlike to increasingly complex. However, the purpose of this piece is storytelling and, although aided by microphones, the acoustics hindered the performance with Heap's lyrics getting lost in the huge space. Before these two pieces was a performance of Bach Again arranged by Edwin London. This takes a chorale of the performers' choosing and stretches the music out with elongated chords. The audience is hit with a wall of sound, the piece exploring a timeless sonority as the harmonies gradually evolve like an amoeba. Though a difficult piece performed well by the choir, this remains an odd experiment. It was Whitacre's own pieces that really shone. Following a fun performance of Bernstein's Warm-Up were Whitacre's Alleluia (with beautiful melismatic lines laced with suspensions) and Leonardo Dreams of His Flying Machine, written with contrapuntal Baroque textures but retaining modern harmonies as the choir call out "Leonardo". Cloudburst was a real highlight. Inspired by a thunderstorm, this incredibly evocative and illustrative piece sees the choir playing handbells, clapping and clicking as well as singing, accompanied by thunderous percussion both on stage and off. Final piece Sleep lulled the audience into a peaceful journey home with a stunning rendition. All these pieces received their first performance at the Proms and Whitacre's work especially is likely to become a firm audience favourite. Heart-wrenching, dissonant clashes and emotive melodies are beautifully arranged, proving there's plenty of talent underneath that floppy hair. Listen: Whitacre's latest album 'Water Night' is available now. Madeon is rapidly becoming the producer du jour. Can he do no wrong? Well The City proves he's not quite immortal. It's more of a straightforwad pop-house track than his previous material, lacking the complexity of Icarus or his Pop Culture mash-up and instead more akin to his remix of Martin Solveig's The Night Out. The vocals, from Zak Waters and Cass Lowe, feel very commercial. And it sounds more influenced by Daft Punk than ever. That said, this is unmistakably Madeon's work. It may not be his strongest track, but he's still well ahead of the game. Listen: The City is released on the 8th October. Remember Mika? He's the one who released that annoying Grace Kelly record and proved that winning the BBC's 'Sound Of' Poll doesn't necessarily translate to longevity. Watch out Michael Kiwanuka. This isn't quite the cheesy pop you might expect though. Sure, it's cheesy and it's poppy, but the strong influence of Daft Punk in the bouncing synth lines does add a sense of dance cool - not to mention the inclusion of a certain Pharrell Williams. And with the pre-chorus line of "Once I get up I feel better and I pull myself together, I remember those two letters, it will be OK", this is simply a track about having fun. The chorus isn't quite as jubilant as you'd like from a celebration, but as a whole Celebrate is a little bundle of joy. 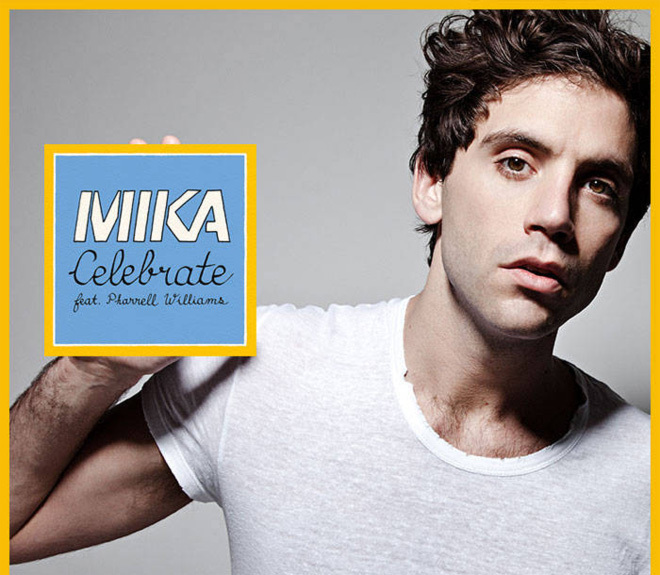 The video, meanwhile, details what Mika's been up to since the release of his second album in 2009: suffering from writer's block, attending cool New York raves, getting high on cocaine and deciding to live life as a hamster. Sort of. Listen: Celebrate is the lead single from upcoming third album 'The Origin of Love' released 16th September. When Mr Grimshaw dropped his debut single Is This Love a couple of months back it was a pleasant surprise. Far from the usual X-Factor bubblegum fair, it's an alternative pop track that failed to light up the charts. But, as he sings on Be Myself, he's got to...erm...be himself. The acoustic tracks at the end of the album are testament to the fact Grimshaw has some decent songs here underneath all the electronic production. And a decent voice too - vibrato is minimal and the falsetto is a little breathy, but it's both powerful and fragile when it needs to be. The songs also feel similar to Adele's work, his beautiful cover of Sia's Breathe Me features an oscillating piano figure reminiscent of Hometown Glory, whilst This Island is as overblown as Set Fire To The Rain. In fact, the lyrics of much of 'Misty Eye' veer on overblown, from Is This Love's "fiery eye in the middle of a dark sea" to the "give me a line, give me some rope which I can hang with" of Poacher's Timing. It's all very emo and mournful, but fits with the youthful, teenage image of Grimshaw singing Mad World on X-Factor. Yet not one to be pigeon-holed, the production follows the same template set out by Is This Love - dubstep beats, swirling electro and epic strings. Even the slower songs eventually incorporate pounding beats. The overall effect of lyric and production might be a little overly dramatic, but it's certainly a complete package. As he sings on What We Gonna Be (surely the next single), "it hurts but it's worth it". That said, we've already heard the best the album has to offer with Is This Love. Despite this, 'Misty Eye' is still a cut above the rest of the X-Factor crap and proves that Grimshaw is aspiring to real musicianship rather than just fame and fortune. It might not be love, but it's far from the curtain call. Listen: 'Misty Eye' is available now. Yeasayer's latest album is more of the same. The band are well known for their psychedelic, twisted disco - all wonky beats, jerky rhythms and fragmented melodies. Imagine Hot Chip and Metronomy forced through a meat grinder and you start to get the picture. 80s funk plays a large part in their sound - buoyant basslines and keyboard effects at times sounding as if ripped from an old video game - above which is frontman Chris Keating's processed vocals. Yet, for all the idiosyncrasies of their sound, as a whole the album blurs into one. With all the agitated experimentation, there's almost too much to take in from song to song. Though undoubtedly inventive, their music sometimes lacks clear pop hooks for the listener to latch on to, with too many fizzing melodies blending in a dizzying concoction. The latter half of the album definitely picks things up. The minimalist grating synths of Devil and the Deed stab like sharp steel; Demon Road's oddball effects combine in an infectious chorus of "all hell is gonna break loose"; Damaged Goods provides the album's anthem; and Folk Hero Shtick's womping sounds contemporary. This is the band at their best - focusing their creativity rather than letting their imaginations run wild. Henrietta is the real standout track though. In part, this is due to its position as their most recent single, but with its woozy, mournful second half and languid vocals, it proves that when Yeasayer get things right the effect is spine-tingling. Listen: 'Fragrant World' is available now. Watch: Yeasayer are currently touring the US. There's always been antagonism in the music of Bloc Party between guitarist Russell Lissack and frontman Kele Okereke's own desire to create an electro record. And it's been a busy couple of years for the band, what with Okereke off writing his own solo material (such as the excellent Tenderoni and What Did I Do?) and seemingly being kicked out. Now Bloc Party return with their fourth album, ingeniously entitled 'Four' (sadly not linked to Beyoncé). Okereke has clearly knocked the electro leanings out of his system and has returned to the band to create a back to basics, guitar-focused record that rekindles the fire of their reknowned debut 'Silent Alarm'. Yet this idea has been shoehorned into 'Four' through inane chatter and quips between tracks. It feels false, offering a forced sense of unity and renewed friendship as if to say "look we're friends really and we're back in the studio making real rock music". It's not intrusive but it's unnecessary: the music speaks for itself. 'Four' is an album of great tracks. Devoid of all electronica, this is a purely guitar based sound more akin to 'Silent Alarm' than previous album 'Intimacy'. Guitar riffs laced with varying distortion effects, powerful basslines and Okereke's unmistakable vocal are all part of their aggressive, post-punk sound as exemplified by recent single Octopus. Little has changed, but with today's apparent dearth of rock, Bloc Party still sound fresh. Fans will no doubt be pleased. That's not to say 'Four' is simply a rehash of 'Silent Alarm'. For starters, it has a slicker, more confident feel than the rawness of their debut. Okereke's vocal has a newfound delicacy as featured in Real Talk and Day Four, the latter of which has an introduction indebted to Temper Trap's Sweet Disposition. Coliseum, meanwhile, begins with an acoustic blues riff and, halfway through, mutates into an intense rock track. Having meandered through different influences and even considered losing their star performer, Bloc Party have come full circle. 'Four' is the ferocious album that was always meant to follow their debut. Who said rock is dead? Listen: 'Four' is available now. Watch: Bloc Party are touring the USA in September. Jessie Ware has slowly been developing her music career after providing backing vocals and guest vocals on a number of tracks, most notably with SBTRKT on his self-titled debut album of last year Now releasing her own debut, she's proven she's not only a bona fide solo artist but a real class act who oozes sensuality. 'Devotion' is a soul record at heart, but with dance music pumping through its veins. There's an element of Sade in the vocal - floating effortlessly above the production, yet with emotional depth. Devotion proves to be an apt name for the album and as Ware falls in love, we can't help but fall with her. From the title track's repeated "I need your devotion", to Running's "I'm ready to run, ready to fall, think I'm ready to lose it all" and the faintly suicidal lyrics of Taking in Water, love is a necessity - an idea that's questioned with No to Love's repeated refrain "who says no to love?". Love is also an irresistible force, as typified by Sweet Talk - "you give me the sweet talk and it works for me" - but, as on current single Wildest Moments, it's never simple. A beautiful, anthemic ballad that details a tumultuous relationship, the lyric "everyone must be wondering why we try" is followed by a chorus of yearning melodies. Yet these lyrics are all delivered with sultry sensuality and a subtlety rarely seen in today's musical landscape of vocal gymnastics. Ware's vocal adds warmth to the glacially smooth production. SBTRKT has clearly had an influence, with his skittering beats and icy cool detachment. 110% is indicative, blending synth washes with a beat indebted to Andre 3000 and Kelis' Millionaire. The opening of Still Love Me is an abstract mix of processed percussive sounds that come together to form a complex beat punctuated by bass notes, atop which Ware questions "do you love me?". Devotion shimmers into view, the dampened guitar lines and beats skimming off the surface, the deep bass line complimenting the sultry vocal. There are still big ballads to provide some powerful moments, but Ware employs a high degree of subtlety. The string opening of Night Light gives way to reverbed guitars and agitated beats, culminating in a raw guitar solo in the middle eight. Wildest Moments and Taking in Water are also standout tracks - the former for its restrained vocals and stadium drums, the latter for its huge scope that's never overblown. In all, this is an album that's simply devoid of bad tracks. Ware's fusion of soul and dance, like the love she sings about, is an irresistible mix. Chic and seductive, her soft vocal and the inventive production combine to form one of the finest albums of the year. Listen: 'Devotion' is available now. 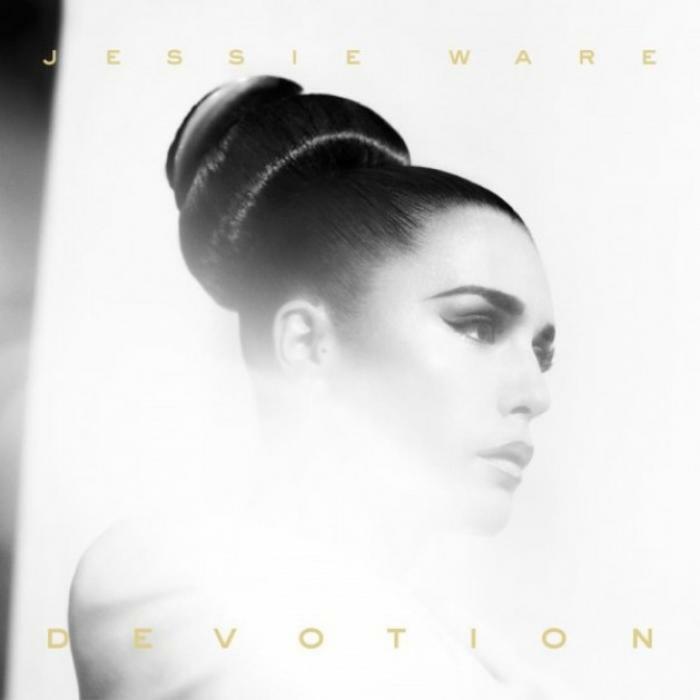 Watch: Jessie Ware will be touring the UK in November. These are the words of maverick psychoanalyst Otto Gross (Vincent Cassell) to Carl Jung (Michael Fassbender) and it's a sentiment at the centre of A Dangerous Method. Cronenberg's film is an exploration of the beginnings of psychotherapy in the early twentieth century, when the differing views and methods of Jung and Freud informed the whole history of psychoanalysis. Based on actual events, the plot hinges on the notion of transference, where the patient's unconscious desires are redirected onto the therapist. When Sabina Spielrein (Keira Knightley) is admitted to Jung's clinic, he is unable to keep his own desire for her in check, resulting in a tumultuous affair. What are the dangers when, applying his theories to his own life, the therapist becomes the patient? The predominant theme is the idea of creation from destruction. Freud's cure for neurosis was to release repressed desires from the subconscious, this cure dependant on the therapist remaining detached. By failing to repress his own feelings and committing sin, Jung risks his marriage and personal life in favour of a dangerous, sadistic sexual relationship. Yet in the process, he is able to develop his theories from personal experience. The most interesting relationship of all is that between Jung and Freud. An early disciple of Freud, the Father of psychoanalysis, Jung gradually developed his own theories that contradicted Freud's, in addition to their opposing religious views. However, this plays out mainly in the odd theoretical conversation and a series of monologued letters tacked on towards the end. Instead, Cronenberg chooses to focus on the relationship between Jung and Spielrein, therapist and patient, reducing the film to a mere love story. There's something clinical about the pair, the film playing out in measured fashion. This is meant to blur the boundaries between patient and lover, but there's very little chemistry between them. We never get a sense of their volcanic desires for one another, Spielrein's seduction of Jung happening too suddenly. Why would he risk everything for a mad woman? Fassbender gives a decent performance as the intellectual Jung, the stilted script suiting his erudite personality. Knightley's Spielrein is a very disturbing character. Though the Russian accent is wonky, her chin does a wonderful job and she's convincing enough. If you're looking for some believable passion, though, you're better off reading 50 Shades. The exterior shots especially are beautifully shot, but the narrative feels slow and hollow. A Dangerous Method is less passionately dangerous and more ploddingly methodical. It might provide a light lesson in psychoanalytical theory, but its central relationship is as exciting as a light spanking with a damp fish. As well as having startling cheekbones, this Australian-Swedish duo are making some haunting electro pop. Elektra and Miranda Kilbey are two sisters whose voices join in glorious melancholy. Yearning melodies and wistful vocals culminate in the beautiful chorus of "maybe you and your sad blue eyes". From their long, flowing locks and seventies fashion, you may be expecting some sort of hippy folk act along the lines of The Staves or Haim. But their voices blend above broad synth washes and gently pulsing beats produced by Addeboy vs Cliff and Patrick Berger (who has also worked with Robyn). This is downbeat electronica with a sad pop heart. The sisters have just signed to French label Kitsuné, so fingers crossed an album is in the works. Listen: Maybe You is released on 27th August. Manchester four-piece Egyptian Hip Hop went quiet after the release of their debut EP 'Some Reptiles Grew Wings' in 2010. With a full album now on the cards, SYH is the band's latest release. Egyptian Hip Hop are, in fact, not Egyptian, nor is their music hip-hop. Their previous material, such as Rad Pitt, was mostly guitar-based littered with electronica. Now, with SYH, the guitar sound has been reduced in favour of electronics, but this is dark grating electro rather than icy coolness. There's an overall muted feel to the track - the grainy synths and breathy, disembodied vocal offering an otherworldly feel above yawning basslines. Yet the erratic rhythms of the start make way for a pure pop chorus that's infectious and well produced. This is 21st century scuzzy grunge music typical of the Manchester scene. Any ideas what SYH stands for? Listen: SYH will feature on the band's upcoming album 'Good Don't Sleep' released 22nd October. Sital-Singh is far from just another guy with a guitar. His guitar patterns may be rhythmically simple, but they're lightly textured with subtle dissonances and touches of strings and piano. His soft, gravelly vocal is strong enough alone, but when over-dubbed with his own harmonies the effect is emotionally powerful. His songwriting may seem like typical troubadour love songs, but they're so touchingly performed you can't help but melt. 'Fail For You' is Sital-Singh's debut EP. The title track is the lead single and a real stand out. It epitomises his style with beautifully poignant lyrics ("I will be your victory but still you walk away...the only thing I couldn't do is fail for you") and a final chorus that sighs and blossoms in spine-tingling fashion. Honest Man begins with a simple guitar refrain, slowly building towards a richly produced finale where Sital-Singh lets loose vocally. The elemental lyrics of I Have Been A Fire may seem overblown, but it doesn't matter amongst the soaring melodies and biting electric guitar. To end, the warm strings of You Love, You Love elevates a simple love song with heartbreaking effect. Falling somewhere amongst the tenderness of Bon Iver's Justin Vernon, the guitar playing of Damien Rice and the vocal honesty of Rufus Wainwright, 'Fail For You' is a must-listen. Listen: 'Fail For You' is available now. Watch: Sital-Singh has just announced he will be supporting The Staves on their November tour. It's hard to believe that Taylor Swift is still only 22. Since the release of her breakthrough hit Love Story, she's released three albums, won countless music awards and dated some of the biggest names in both the music world and Hollywood. It's these ex-boyfriends that have become the inspiration for her fourth album 'Red', an album full of vitriol and intensity. We Are Never Ever Getting Back Together is the first single and indicative of the style. It's a move away from her country roots to a pop feel closer to the likes of Avril Lavigne or Kelly Clarkson - least of all as this was co-written by Max Martin who penned Clarkson's Since You've Been Gone. Swift has, like, really embraced her, like, American roots...like. Despite her wealth of experience in the music industry, this is a track that really shows her youthful side. Yes, this is a cheesy pop record, but at least she acknowledges that with the line "you would hide away and find some peace of mind with some indie record that's much cooler than mine". Cool she might not be, but this is a surefire hit. Listen: We Are Never Ever Getting Back Together is released on 21st August. Fourth album 'Red' follows on 22nd October. 'Sigh No More' was a huge success for the English folk rockers and upcoming album 'Babel' (pictured - from which I Will Wait is taken) is sure to follow suit. Judging by this track, it seems the band have refrained from changing their sound at all. This is the same Mumford we all know and love - driving guitar rhythms speckled with banjo arpeggios, rich vocal harmonies and a rousing chorus. Urgent and impassioned, this is an exciting preview of what the album at large will bring. The band are clearly content with their folk rock sound and aren't pushing any boundaries. Yet by taking folk to the mainstream, they've already popularised the genre immeasurably. In this case, more of the same is exactly what we need. Listen: 'Babel' is released on September 24th. Magazines litter the floor. Papers are neatly stacked in piles. Wonky pictures crawl up the walls. And three crazy spirits emerge from every crevice. Welcome to the meticulous world of Winfield Scott Boring. Suffering from OCD and agoraphobia (amongst other fears), Boring is a man who sticks stoically to his daily schedule whilst he "fixes the unfixable". Trapped in his cramped apartment, he suddenly awakens to a day where everything goes wrong, forcing him to face his fears. Will he ever escape his living room - and his mind? In this coming of age story, Boring's sad, lonely life is delivered in comic fashion with real heart. You obviously... is brimming with cinematic flair, from the Rear Window tinged narrative to the silent film-esque comedy. Sound design is expertly employed, the play's action timed to perfection with the chromatic piano music and sound effects. With Eva Sampson's intricate directing, the drama whips along at a frenetic pace as Boring's world slips out of his control. His comfortable life quickly descends into a psychotic episode as the flat comes to life around him, his inner-fears literally projected onto his surroundings. Richard Keiss's tender portrayal of Boring is loveable - an almost silent character, his fears are expressed through wonderful physicality. The three colourful and omniscient narrators - played by Sampson, Helen Booth and Peter Wicks - are the puppeteers of Boring's life, depicting a number of crazy characters with inventive humour. The script, by Teresa Burns, is well-paced, witty and fuelled by comic metaphors. Hilarious and poignant in equal measure and performed with inspired flair, You obviously... is a must-see at this year's Fringe. Mad fun. Watch: You Obviously... is performed at the Underbelly until 26th August. As a reviewer, it’s easy to feel self-conscious making notes during a show. Yet with The Man Who Planted Trees there was no need to worry – so spellbinding was the storytelling that I never dared put pen to paper. Fringe regulars, Puppet State Theatre Company return to tell the allegorical tale of Elzéard Bouffier – the titular man – based on a book by French author Jean Giono. The story is of a shepherd (and his dog) who single-handedly re-forested a desolate region of France during the early twentieth century. Through two world wars and political strife, Elzéard Bouffier kept on planting trees to spread joy across the land. The tale is a simple one, but is told fantastically by performers Richard Medrington and Rick Conte. 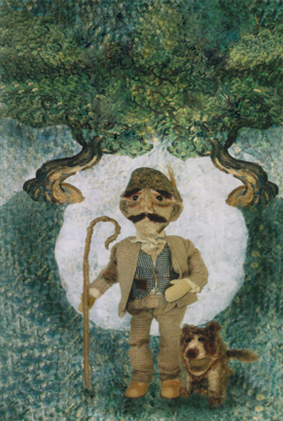 The use of puppets and props enhance the story, bringing rural France to life in creative fashion. The result is a sensory overload – simple visual effects give the impression of an ever-growing forest; the sound of the wind howling across the landscape fills our ears; and even the smells of the forest waft over the audience. 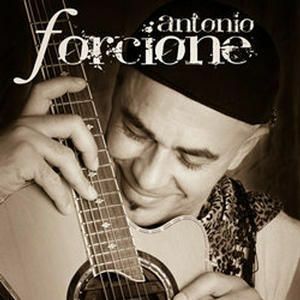 The beautiful, rustic folk style is well suited to the story and is accompanied by enchanting guitar music. Moreover, it’s the actual storytelling that shines through. Medrington’s delivery is lucid, gripping the audience from start to finish. Conte’s witty portrayal of the loveable ‘dog’ is the obvious highlight of the show, with cute and comedy moments aplenty. The banter between the pair is infectious, frequently breaking the fourth-wall to create intimacy, drawing the audience in. It’s impossible not to emotionally invest in this show, which brought a tear to the eye of even this twenty-something reviewer. A magical children’s show, The Man Who Planted Trees is essential viewing for kids and big kids alike – “we know and now so do you”. Written for Broadway Baby. For more reviews, visit their website here.